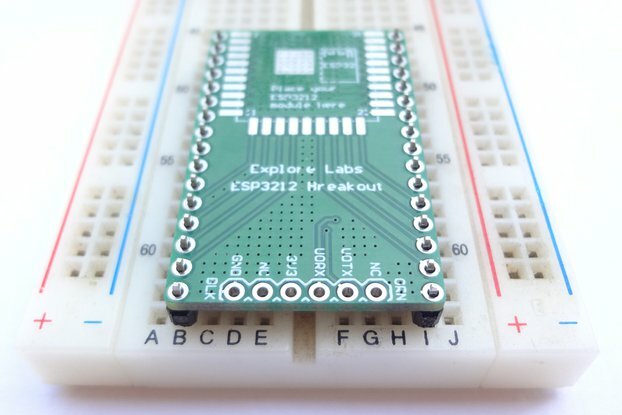 A breakout board for a CSR8635 development module with pin labels and breadboard alignment. 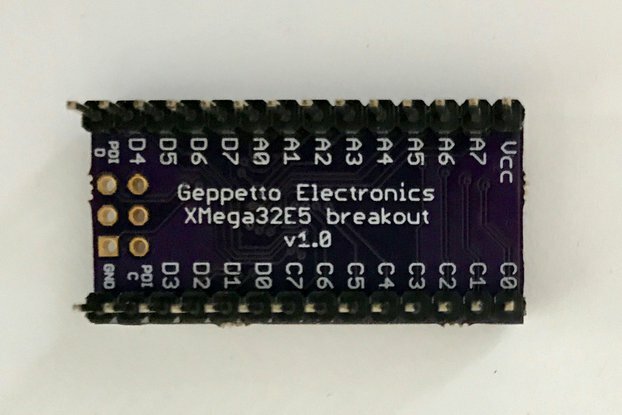 A breakout board for a CSR8635 development module with pin labels. 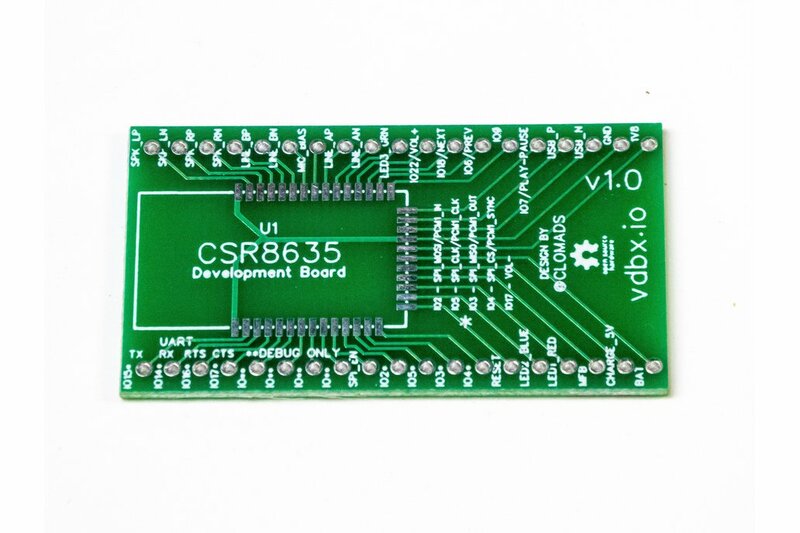 Commonly listed as BTM-835B - this board has pins on all sides and requires an external antenna. 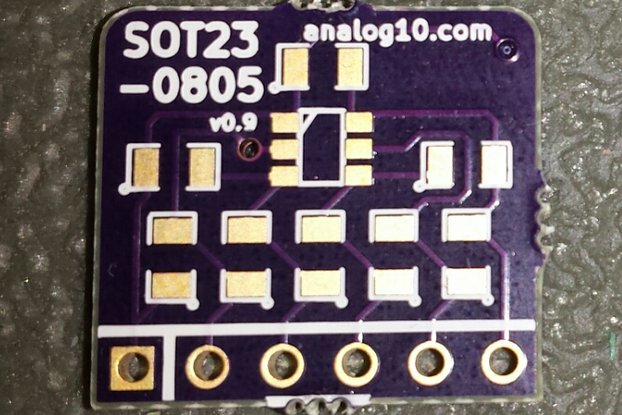 It is generally a board with blue solder mask. Commonly listed as BTM835 - this board generally has it's chip angled at 45° and has an equal amount of pins on both of the long sides. This one generally has a blue solder mask. 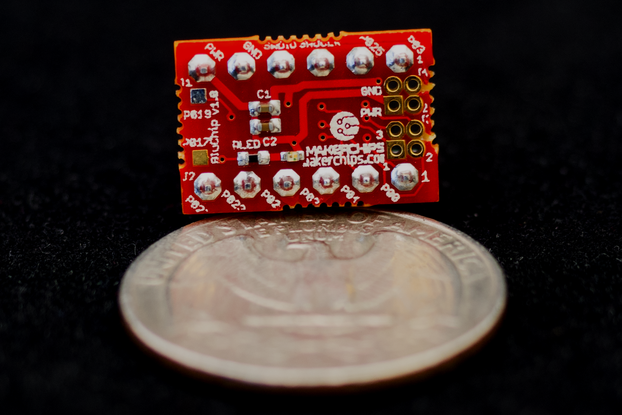 I am working on building a Bluetooth audio headset but didn't realize how small the pins on these modules are. For prototyping my device, I wanted to be able to use this board on a breadboard and have a visual reference to the pinouts. These Bluetooth audio boards are super cheap and I'd love to see more people able to prototype with them. Look out for my headset project coming in a couple months. Shipped via USPS stamped envelope.